Yesterday I was holed up inside with the air-conditioning set on a balmy 27 degrees. 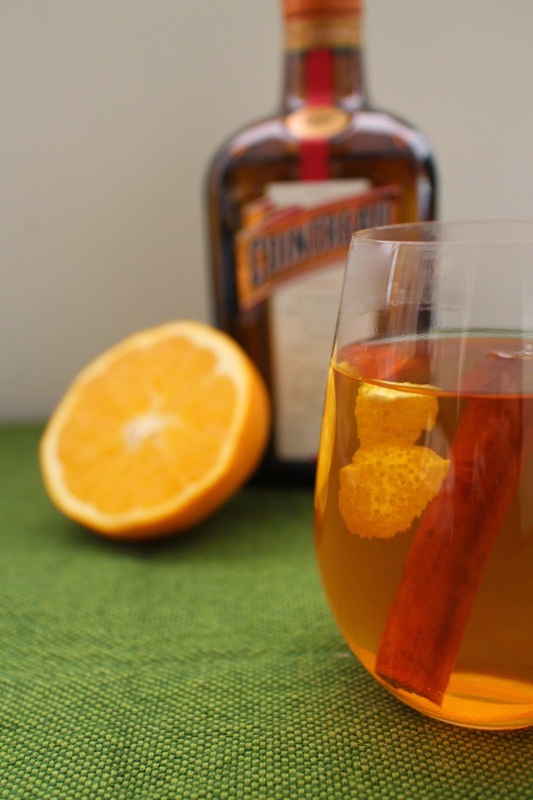 As we are well and truly in the midst of winter now, I decided to make this warming tea using one of my favourite liqueurs. Super easy, it took me no time at all. 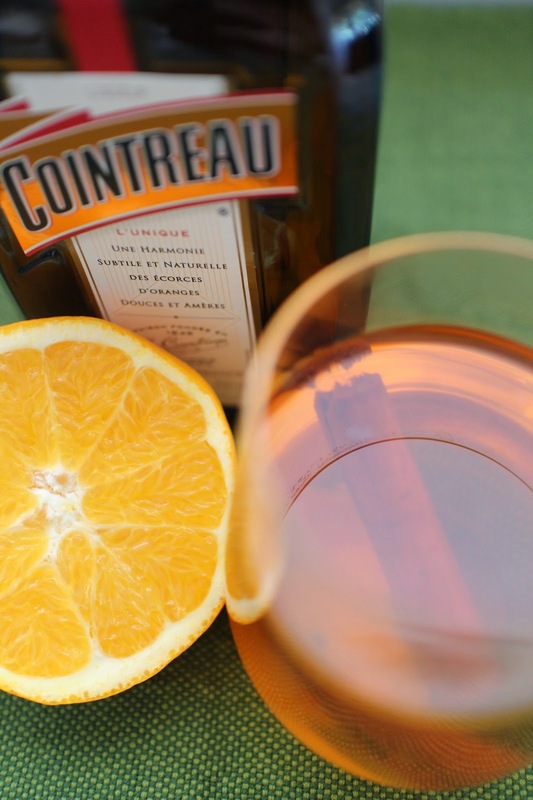 The Cointreau adds a lovely subtle sweetness to the tea so you don't have to add any extra sugar. I used Tetley Cinnamon Orange tea bags to make this but only because Mum recently brought over a box of it for me to try. Regular black tea will work nicely too - just remember to not brew it too long though (unless you like it strong). Simply brew a cup of tea as you normally would. 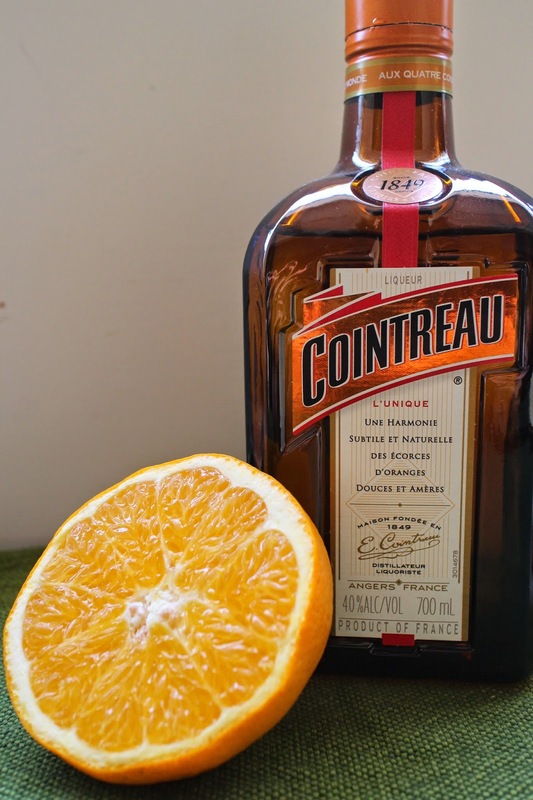 Then add a few pieces of orange peel, one cinnamon twill and 1 tablespoon of cointreau to each cup of tea. Sit back, pump up the air con or heater and enjoy. Guaranteed to warm you up from the inside! This sounds delish! Wow! This is a really nice idea!